This experiment mainly focuses on your attitudes towards African Americans but also addresses your attitudes towards European Americans. What is involved if you agree to participate? You will complete a number of questionnaires as well as a reaction time (RT) computer based task. The RT task involves you sorting pictures of African Americans, pictures of European Americans, positive words and negative words into categories. The experiment also contains a section that asks about European Americans' explicit attitudes towards African Americans. If you are not a European American, feel free to skip that section. During the experiment you may also be exposed to images you may find disturbing or unpleasant. If you are not comfortable with these images you can terminate the experiment by closing the tab at any point. If you decide at any point you do not wish to continue the experiment please close the tab. You can email the above researcher to get a full debriefing if you decide to discontinue the experiment. The experiment takes approximately 15 minutes and must be completed in one sitting. Participation is totally anonymous and data will be stored on the password-protected computers of the researcher named above. 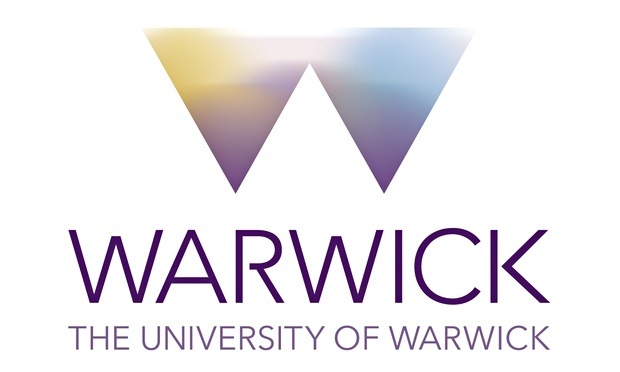 Your anonymized data may be shared with other researchers outside of the University of Warwick. If you are over the age of 18 and happy to participate in this experiment, please check the box below before proceeding.When you check the box a pink "Start" button will appear. Click this to continue. I am happy to participate in this study. What is your race ? What is your current country/region of residence? If you are in the U.S. what state are you currently in? Thinking of social contact - whether at home, or at work, or somewhere else - how much contact do you have with African Americans? In general, how frequently was this contact with African Americans POSITIVE/GOOD? In general, how frequently was this contact with African Americans NEGATIVE/BAD? In the media (newspaper, radio, TV) how do you think European Americans are portrayed? In the media (newspaper, radio, TV) how do you think African Americans are portrayed? On average how many African Americans do you physically encounter each day? I would feel nervous if I had to sit alone in a room with an African American and start a conversation. I just do not know what to expect from an African Americans. Although I do not consider myself to be racist, I do not know how to present myself around African Americans. My lack of knowledge about the African American culture prevents me from feeling completely comfortable around African Americans. I can interact with African Americans without experiencing much anxiety. If I were at a party, I would have no problem with starting a conversation with an African American. It makes me uncomfortable to bring up the topic of racism around African Americans. I experience little anxiety when I talk to African Americans. African Americans and European Americans awkward. I would experience some anxiety if I were the only person in a room full of African Americans. I worry about coming across as a racist when I talk with African Americans. Please rate the educational informativeness of the above image. A pink continue button will appear below here after one minute of loading this page. Click on it to continue the experiment. Please ensure you have carefully viewed and read all the pictures below as you will be asked about them later. After 30 seconds of looking at the images a continue button will appear at the end of the page. How effective was the slide show in raising your awareness of disease threats? A pink continue button will appear below here after 30 seconds of loading this page. Click on it to continue the experiment. Only after one minute has lapsed will a continue button appear at the end of the page. How effective was the slide show in raising your awareness of accident threats? You will be presented with a set of words or images to classify into groups. Classify items as quickly as you can while making as few mistakes as possible. Going too slow or making too many mistakes will result in an uninterpretable score. The following is a list of category labels and the items that belong to each of those categories. Keep your index fingers on the E and I keys to enable rapid response. If you are using a touch-screen device, you can just tap the labels instead. Two labels at the top will tell you which words or images go with each key. Each word or image has a correct classification. Most of these are easy. The test gives no results if you go slow—please try to go as fast as possible. Expect to make a few mistakes because of going fast. That's OK.
For best results, avoid distractions and stay focused. (0=coldest feelings, 5=neutral, 10=warmest feelings). You have completed the reaction time task. Please click the continue button to carry on with the experiment. It really bothers me when people sneeze without covering their mouths. If an illness is 'going around', I will get it. I am comfortable sharing a water bottle with a friend. I don't like to write with a pencil someone else has obviously chewed on. My past experiences make me believe I am not likely to get sick even when my friends are sick. I have a history of susceptibility to infectious diseases. I prefer to wash my hands pretty soon after shaking someone's hand. In general, I am very susceptible to colds, flu, and other infectious diseases. I dislike wearing used clothes because you don't know what the past person who wore it was like. I am more likely than the people around me to catch an infectious disease. My hands do not feel dirty after touching money. I am unlikely to catch a cold, flu, or other illness, even if it is going around. It does not make me anxious to be around sick people. My immune system protects me from most illnesses that other people get. I avoid using public telephones because of the risk that I may catch something from the previous user. The test is over. Thank you for taking part. To receive your payment please enter the above code into the amazon turk webpage relating to this experiment. Your payment will be sent to you in the next couple of days. If you saw the image slideshow that described accidents, this was not expected to increase your prejudice towards outgroup members (e.g. Black people if you are White). However, it was predicted that those who saw the disease slideshow would have increased prejudice towards their outgroup compared with the accident slide show group. This increase in prejudice would be predicted based on parasite stress theory of values (see The parasite-stress theory of values and sociality: Infectious disease, history and human values worldwide by Thornhill & Fincher, 2014). If you have any concerns or questions about the experiment please email me. A formal complaint about this study can be made here.